Leighton Linslade Services is a minor waterways place minor waterways place place on the waterways major waterways place village town city on the Grand Union Canal (Grand Junction Canal - Main Line - Gayton to Brentford) between Willowbridge Bridge No 99 (6 miles and 3½ furlongs and 5 locks to the northwest) and Marsworth Junction (Junction of Grand Union Aylesbury Arm with Main Line) (8 miles and ¾ furlongs and 11 locks to the south). The nearest place in the direction of Willowbridge Bridge No 99 is Leighton Buzzard Bridge No 114; ¼ furlongs away. The nearest place in the direction of Marsworth Junction is Grant&apos;s Wharf (Infilled basin); ¼ furlongs away. 9 New Road, Leighton Buzzard, LU7 2LS — 100 yards to the west. 20 High Street, Leighton Buzzard, LU7 1EA — 501 yards to the east. Grovebury Road, Leighton Buzzard, LU74TE — 1374 yards to the southeast. Wing Rd, Leighton Buzzard, LU7 2NN — 258 yards to the southwest. Globe Lane, Leighton Buzzard, LU7 2TA — 1423 yards to the north. The Old Fire Station, Market Square, Leighton Buzzard, LU7 1EU — 699 yards to the east. 7 Wing Road, Leighton Buzzard, LU7 2NG — 75 yards to the west. Brantoms Wharf, Leighton road, Leighton Buzzard, LU7 1LA — 97 yards to the east. 1 New Road, Leighton Buzzard, LU7 2LS — 90 yards to the west. Mentmore Road, Leighton Buzzard, LU7 2 — 1292 yards to the south. Leighton Buzzard, LU7 2SD — 853 yards to the northeast. 24 Leighton Road, Leighton Buzzard, LU71 — 50 yards to the northwest. Linslade — 259 yards to the west. 13 Wing Road, Leighton Buzzard, LU72 — 75 yards to the west. 5 Old Road, Leighton Buzzard, LU7 2R — 108 yards to the northwest. 92 Old Road, Leighton Buzzard, LU7 2RB — 339 yards to the northwest. Lake Street,, Leighton Buzzard, LU7 1RT — 766 yards to the east. Billington Road, Leighton Buzzard, LU7 9JH — 449 yards to the west. Leighton Buzzard — 864 yards to the northeast. Leighton Buzzard — 56 yards to the west. 23 Bridge Street, Leighton Buzzard, LU7 1AH — 363 yards to the east. Unit B Grovebury Retail Park Grovebury Road Leighton Buzzard, Leighton Buzzard, LU7 4EG — 1436 yards to the south. Railway Station, Station Approach, Leighton Buzzard, LU7 2LY — 493 yards to the west. Leighton Buzzard — 815 yards to the east. 7 NEW ROAD, Leighton Buzzard, LU72LS — 96 yards to the west. 5 Peacock Mews, Leighton Buzzard, LU71JH — 760 yards to the east. Leighton Buzzard — 514 yards to the east. Linslade — 873 yards to the west. Leighton Buzzard — 183 yards to the east. Leighton Buzzard, LU7 1AE — 433 yards to the east. 90 Wing Road, Leighton Buzzard, LU7 2NN — 259 yards to the southwest. 63A North Street, Leighton Buzzard, LU7 1EQ — 845 yards to the northeast. 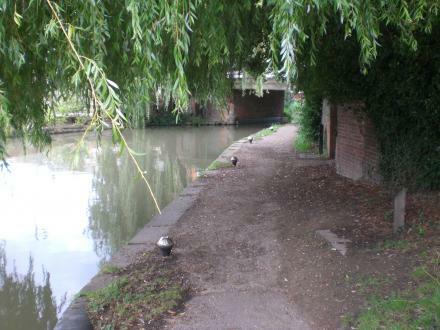 Brantoms Wharf, Leighton Buzzard, Leighton Buzzard, LU7 1LA — 71 yards to the east. 10 Chartmoor Road, Leighton Buzzard, LU7 4GW — 1614 yards to the southeast. 18A Leighton Road, Leighton Buzzard, LU7 1ER — 143 yards to the east. Unit 4, Grovebury Place Estate, Grovebury Road, Leighton Buzzard, LU7 4SH — 1159 yards to the southeast. 50 High St, Leighton Buzzard, LU7 1EA — 647 yards to the east. Boss Ave, Leighton Buzzard, LU7 4SD — 932 yards to the southeast. Vimy Rd, Leighton Buzzard, LU7 1ER — 272 yards to the north. 15a Vandyke Road,, Leighton Buzzard, LU7 3GH — 1145 yards to the east. Leighton Buzzard — 1570 yards to the northeast. Riverside Walk, Leighton Buzzard — 736 yards to the north. 1 Leighton Road, Linslade, Leighton Buzzard, LU71 — 178 yards to the east. Parsons Close Recreation Ground, Leighton Buzzard, LU7 1SD — 773 yards to the southeast. Hockliffe Rd, Leighton Buzzard, LU7 9NX — 1453 yards to the east. Unit 2, Leighton road, Leighton Buzzard, LU7 1LA — 129 yards to the east. Leighton Buzzard — 939 yards to the south. Leighton Buzzard — 761 yards to the east.